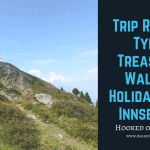 This is a fabulous self guided walking holiday in Austria that allows you to explore on foot some fabulous sites. This as much about scenery as it is historic treasures and cultural highlights. We think you will discover, perhaps, some of the most wonderful places in Austria during this trip. Austria has such a rich history combined with an extraordinary landscape, what other country could offer more for a holiday. In the festival city of Salzburg you will climb up the city mountains to find some hidden treasures. In Hallstatt, the lovely lakeside village in the Austrian Lake District you will find some of the oldest history in Austria. On the Danube region, you will walk in the Wachau Valley; it is the hot spot for wine and fruits where you can enjoy walking through the vineyards with wonderful views over the Danube River. During the day arrive to Salzburg either by plane or train. Overnight in Salzburg. Day 2 The city hills of Salzburg 5-6.2 miles 8- 10 km, 3-5 hours walking time, up 240m. Today you walk up the city mountains around Salzburg where you shall have some amazing views of the historic city and surrounding countryside. From the hills gaze at the little alleys and churches in the centre. You will start your tour by walking up to the monastery where Pope Paul stayed when he visited Salzburg. Then passing the historic centre you will walk up the fortress built on a hill where you will have amazing views of the Bavarian Alps. Afterwards, you will walk over the “Monk” hill passing by the museum of modern art and ending next to the brewery of the Augustinian monks. Here you can see very nice gardens, old fashion beer halls and of course good local food. After some refreshments, you may walk back to your hotel or you just take the city bus. Day 3 Salzburg – Bus to St. Gilgen – pilgrimage trail to St. Wolfgang – Wolfgangsee 7.5 miles 12 km, 4.5 hours walking time, up 460m. In the morning, you will take the public bus to St. Gilgen in the Austrian Lakes, where you will follow the historic pilgrimage trail from the middle age to St. Wolfgang. It is not part of the World Heritage but you are in the Lake & Mountains District and this tour offers almost everything which represents this holiday region. A nice lake, wonderful mountains surroundings, lovely lakeside villages all made well known by the Sound of Music movie. Overnight at Lake Wolfgangsee (luggage transferred). Day 4 Bus to Bad Ischl – Walking tour on the brine pipeline trail from Bad Ischl – Bad Goisern – Salt Mountain Hallstatt – Hallstatt/Bad Goisern 8.7 miles 14 km, 5 hours walking time up 515m. The brine pipeline trail starts in the former emperor’s city of Bad Ischl and runs slightly upwards until you reach the Salt Mountain in Hallstatt. The trail is partly built into the rock and the salt water is still running to the saline where they produce salt. In Hallstatt, you will find the oldest public salt mine in the world, burial fields of the Celts and a lake looking like a fjord (a UNESCO site). Be amazed of Hallstatt with is wooden lake houses perched into the lake. Day 5 Hallstatt, the ice cave and high alpine walking trail 6.2 miles 10 km, 3 hours walking time, up 360m. Today you make your way to the River Danube valley. You will take the train from Hallstatt passing through the wonderful Salzkammergut region with its lakes and mountains. An amazing train journey. Once in Melk take a look around before taking the boat tour from Melk to Krems, this might be a big highlight on your tour. Along the journey you shall see historic villages, little wine hamlets, vineyards, castles on hills and many more places of interest. The tour ends in the city of Krems. Overnight Krems (take your luggage with you on the trip). Day 7 Walking tour Krems – Dürnstein 6.8 miles 11 km, 3.5-4.5 hours walking time, up 370m. Today a lovely walk through the upper Austrian wine region. The vineyards start directly on the outskirts of the town as we hike upwards. Enjoy stunning views of the river Danube and Krems as well as the impressive monastery Göttweig. Crossing the hills, you walk to the ruins of fortress Durnstein, where the legend says that King Richard the Lionheart was held captive before Blondel rescued him. Now you walk downwards to the historic town Durnstein where you should walk through the little alleys of the town. Return by bus to Krems. Overnight in Krems. Today you take the train with your luggage to Vienna. Once in Vienna, you have the day to explore the many historic and cultural sites this great city has to offer. Some ideas for the day would be to visit St Stephens’s Cathedral, Schonbrunn Palace with its opulent appointed rooms, Hofburg Palace with its baroque architecture, Zoo or one of the many museums in the city. On the other hand, you may wish to take a stroll around the historic streets and admire the architecture and relax over a coffee and watch the day go by. In the evening you maybe wish to go to the famous State Opera. Day 9 Walking tour to mount Kahlenberg and/or sightseeing in Vienna 6.9 miles 11 km, 4 hours walking time, up 345m. Today you can decide to spend time visiting more of the historic sites of Vienna or take a wonderful walking tour. If you decide the latter your walking tour will start at the famous Vienna hamlet of Grinzing which has many wine bars and vineyards. On the tram, you arrive at Grinzing and then you walk up to the viewpoint at Mount Kahlenberg where you see the Vienna forest as well as Vienna, the Danube and the flatlands to the east. Afterwards, you can stop at a wine restaurant and taste the local wine, while maybe listening to some local music and enjoying the old Vienna flair. There are no dangerous trails on this walking holiday, but you will walk on a high alpine trail. By plane to Salzburg or maybe plane to Munich or Vienna and then by train to Salzburg.